NHL Hall of Fame goaltender who popularized falling on the puck to save it and became the first goalie to score an assist by passing. 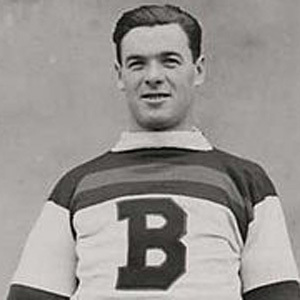 He joined the Boston Bruins at the start of the 1928-29 season, taking over the goaltender position. His nickname Tiny was somewhat misleading, since he was 5'10" and 170 pounds, average size for a goalie at the time. He grew up in British Columbia, Canada, unusual for an NHL dominated at the time by east-coast Canadian players. He and Charlie Gardiner were two of the top goaltenders during the NHL's development years.